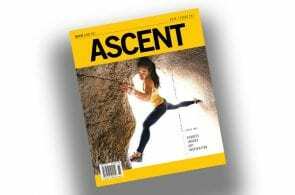 The man with more ascents of El Capitan than anyone else in history writes about watching Alex Honnold and Tommy Caldwell’s new speed record, whether he thinks they’ll break the two-hour mark, and the risks involved in speed climbing the Big Stone. 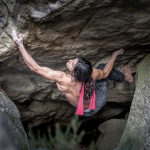 The Nose route roughly follows the sun-shade line up the prominent prow between Hans Florine’s plaster-bound legs. Photo: Hans Florine. In October last year while on top of a building in Budapest, I got a text from Jim Reynolds and Brad Gobright. They reported that they had nailed the Nose record! 2 hours 19 minutes 44 seconds. I was honored that they let me be among the first to know. Sad both that I couldn’t watch them do it, and of course that my “reign” was at an end. There are many sub-specialties in climbing, but I’ve always thought that the ability to cover many pitches of vertical, roped climbing was something that was not just terribly fun to me, but something that everyone would want to do—whatever their ability level was. Meaning it would be super fun to go for a 30 pitch day of 5.9 climbing, a 30 pitch day of 5.11 climbing, etc. What more perfect place to do this sort of climbing than Yosemite? When I climbed the Nose with Tommy Caldwell 15 years ago in 4 hours 31 minutes, Tommy never said that it was not fun. He just said he was more interested in pursuing other things in the near future. When Tommy and Alex covered tons of terrain on the Fitz Roy Traverse, that was a natural application of this type of climbing. I told Alex way back in 2013 that I would be psyched to see him and Tommy give it a go on the Nose. But I think Alex wanted to respect the record that he and I set together for a bit. He also, like Tommy, had other pursuits in mind at the time. Plus Tommy needed a multi-year persuasion strategy to convince him it would be fun. When Alex and Tommy started taking practice runs a month ago, I talked with Alex and requested that he do me the favor of letting me know when they had a good shot at the record so that I could come watch. (Funny thing: In the past 28 years, I’ve never gotten to see others attempt the speed record in person.) Monday, May 28, I got the call from Alex that Tommy and he had done it in 2 hours 25 minutes that morning, and that it looked good for them to get the record on a Wednesday morning attempt. I called around to a number of people and asked if someone wanted to cart a disabled old climber up to the meadow to spectate. My good friends Dale Wu and Banning Lyon were game. 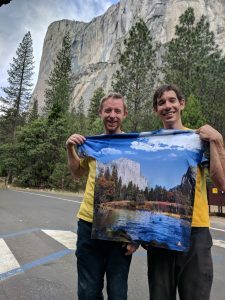 Tommy Caldwell and Alex Honnold before setting the Nose speed record of 2:10:15. Photo: Hans Florine. We woke up at 1:30 am, Wednesday, May 30, to leave Lafayette at 2:10 am. We arrived in Yosemite at 5:15 am—in time to catch Tommy, Alex, Brad and Jim in the meadow en route to the base. It was super fun getting to chat with them before they headed out and later catching them after the descent. While they climbed I watched their splits to see how they were doing. To the Grey Bands they took 62 minutes. When I went with Alex for the 2:23 record in 2012 it took us 72 minutes to get to that point. So I figured, if there were no mess ups, they would get the record. Apparently there were a few foibles up higher on the route where they lost a little time, but not enough that they were thwarted. They beat the existing record of 2 hours 19 minutes 44 seconds by over nine minutes. They climbed it in 2 hours 10 minutes 15 seconds. I have a close enough relationship that I can haze Alex a bit so I pointed out that Tommy shaved 10 minutes off my first half while Alex only shaved about four minutes off our second-half time. Alas, there are more complications in methods on that half to put all the “blame” on Alex —but he can take it, so I gave it to him, all in good fun. In general, watching the two of them on the route, they seemed pretty fluid and had a good rhythm. I’ve always felt of myself and observed of others that smooth equals faster. How will they do on their next attempt at the record? Tommy noticed that he was improving just by having his body now used to pushing for two hours of climbing. Imagine that the typical end game for Tommy the past few years has been a power-endurance push for the distance of one pitch. That might be four to 14 minutes of effort and then rest. That is a much different game then staying aerobic at a high level without going anaerobic for two hours. This is the first time that Tommy and Alex’s bodies are being asked to do this at such a high level alone. It would make sense that they will adapt after a number of efforts and improve their result. 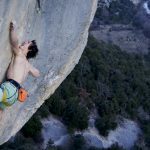 Alas, the draw of a 3,000-foot route is that there is a large variety of challenges to overcome, and part of this “race” involves a huge amount of potential and actual situations that can come up. It is not a “mistake” if a rope gets snagged in a crack 20-feet below you. It is not a mistake if a cam rotates and walks into a section of the crack where it gets stuck. 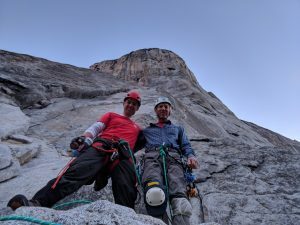 Stuff will happen and Tommy and Alex’s decades of climbing experience will have to be applied—and applied efficiently, quickly, and safely—in order for them to get the record. I think about it this way: If they climb the route in 1 hour 57 minutes, and they have a two-minute rope snafu, then they will still have gotten the sub-two-hour goal at 1 hour 59 minutes. So imagine they have a one-minute delay when their rope gets entangled around another team’s haul bag, at the beginning or halfway up the route—What should they do? They can bail and try another day, or they can know that it is part of climbing the Nose. 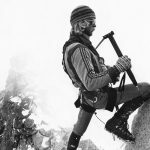 Every single record since the first ascent has had foibles or challenges and every single record in the future will have foibles; it is the nature of daring to ascend 3,000-feet of diverse vertical terrain. I am excited to see how it goes for them. Is what they are doing safe? I think so. Speed draws your focus to the present, to the immediate surroundings. Being focused on a singular goal for two hours is arguably safer than being up there on the wall for three days; in the latter scenario, there is time to look at the clouds while you belay your partner on a two-hour, one-pitch lead. Hans Florine and Abe Shreve pose with El Capitan looming above them. Later that day, Florine took a fall and broke one leg and the other leg’s foot. Photo: Hans Florine. 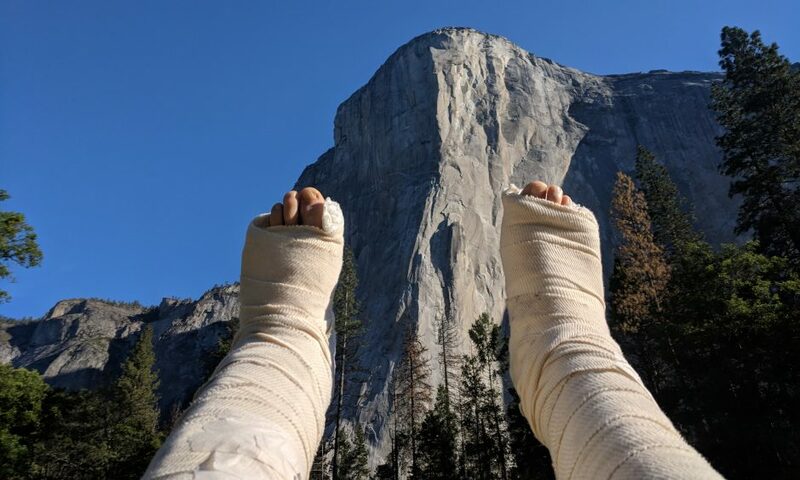 I broke my leg and foot just last month going for a 12-hour Nose in a Day (NIAD) ascent. I was just aiding along and a nut popped. It’s not a given that if I had been going faster it wouldn’t have happened—slower either, for that matter. I am just saying that when you are gunning for a two-hour ascent you are attentive to everything for that two hours: You do not have time to post to Instagram, you do not have time to think about your rent, or any other bill due next week; you are present and on task. Both Tommy and Alex climb 5.14+ and the thousands of feet of 5.10, 5.11 and 5.12 that they are simul-climbing up on the Nose is well below their pay grade. It is certainly possible they can make a mistake if they rush something, but highly unlikely if they are being smooth, calculated and efficiently moving up the rock. 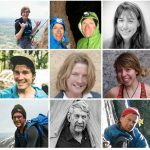 Here’s a very rough comparison: For every one foot Tommy and Alex ascend in a two-hour ascent, World Cup speed climbers would have ascended over 30 feet. Go watch a YouTube video of World Cup speed climbers and you’ll realize that Tommy and Alex are turtles. And we all know the hare does not win the race. I’m looking forward to Tommy and Alex’s next run, albeit I think this disabled spectator is going to stay in the city, glued to social media for updates. 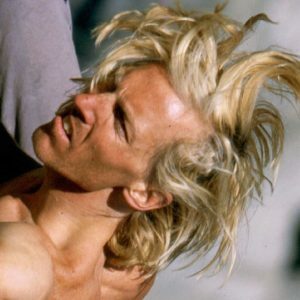 HANS FLORINE is a professional rock climber and motivational speaker based in San Francisco. 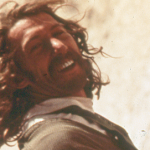 He holds the record for number of ascents of the Nose on El Capitan. 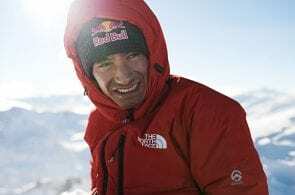 He has held the speed record on the Nose multiple times, most recently with Alex Honnold, and a time of 2 hours 23 minutes 46 seconds, set in 2012. To follow Hans Florine’s recovery, check out his Instagram. 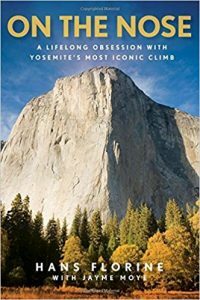 To read more about Florine’s multi-decade obsession with speed climbing and the Nose, pick up a copy of his book On the Nose: A Lifelong Obsession with Yosemite’s Most Iconic Climb.